You can use volume button to take photos in Galaxy S5. As you already know that there is no dedicated (hardware) camera button in Galaxy S5. Actually, most smartphones do not have hardware camera buttons nowadays. One reason is that smartphones are now touch based. Users may prefer on-screen software buttons instead of hardware buttons, which usually increase the manufacturing cost as well. But you probably not know you can use volume button to take photos in Galaxy S5. Of course, volume button is not a dedicated Galaxy S5 camera button. You can use volume button to take photos in Galaxy S5 only after the camera app is open. To use volume button to take photos in Galaxy S5, you may follow these steps. Step 1: Start Camera app. You can tap Settings icon —Volume key as shown below to access the settings for this feature. In the pop out window as shown below, tap Take picture to enable this feature so that you can use volume button to take photos in Galaxy S5. Step 3: Tap anywhere on the screen to return. This setting is consistent. It means the settings will be used until you manually change it. Step 4: Use volume button to take photos. Now, whenever you are ready to take photos, you can use either the volume button or the on-screen camera button. As you noticed, the volume button can be assigned to other functions in Galaxy S5 camera app. Record video. Once you assign volume button to this function, pressing volume button will start to record the video, instead of taking photos. Zoom in or Zoom out the photo. As Galaxy S5 camera does not have optical zoom, this function is for digital zoom. You should seldom use it because it will may the photos very grainy. Any other ways to take photos on Galaxy S5 without using on-screen camera button? In addition to using volume button to take photos in Galaxy S5, you can use voice control (voice command) to take photos in Galaxy S5. Please check this guide on how to use Galaxy S5 camera voice control. Can you use volume button to take photos in Galaxy S5? If you have any questions or encounter any problems to use volume button to take photos in Galaxy S5 or use volume button to record videos, please let us know your questions or problems in the comment section below. We will try to help you find a solution. 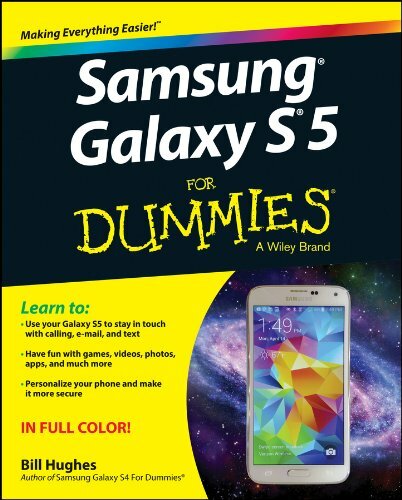 More how-to guides, tips and tricks for using Samsung Galaxy S5 are available at Samsung Galaxy S5 how-to guides page.